So, what is this problem? The Galaxy S (for some users) has difficulty locking onto enough GPS satellites to maintain an accurate fix on the user’s position. This translates to unusable GPS car navigation apps, inaccurate map readings, and generally makes using any GPS-enabled application a less-than-enjoyable (and inaccurate) experience. This problem doesn’t affect all users: it seems more likely to trouble those in locations where GPS satellites are scarce, or in areas where the phone needs to regularly switch satellites to maintain an accurate location readout (remind anyone of a certain phone’s antenna issues?). For persons living in cities with very strong GPS coverage or few physical barriers to GPS signal, there may be no issues at all. 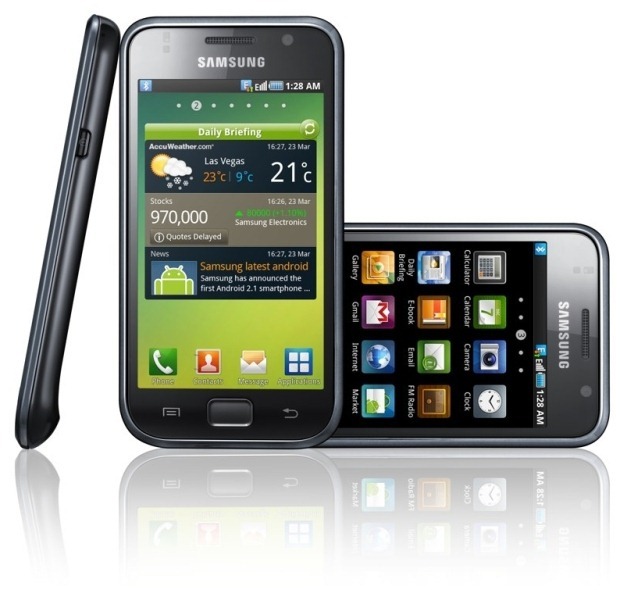 Theories on the root of these GPS frustrations vary; some have suggested Samsung’s Galaxy S uses an inferior GPS chip that can track (track, not lock) only 8 GPS satellites at once, whereas most HTC devices are capable of 12, and that this hurts the Galaxy S’s ability to choose optimal satellites as its position changes. Others claim the Galaxy S can see plenty of satellites, but will only lock onto one or two at a time out of the 8 or more discovered (by comparison, my own Nexus One quickly locks to 10 out of 10). A menu will appear with a checkmark option to enable Skyhook, check it. Do not change anything else. This “fix” does not work for everyone (it’s not clear it even works for the majority), but it’s easily reversible and worth a try for that reason alone. Many others have suggested updated firmware has alleviated the issues as well. To that end, there is chatter that some new AT&T Captivates are shipping with an updated firmware version that may address the GPS issue. After doing a little armchair postulating, I think I have come up with an explanation for this behavior. Clearly, for some users the GPS on Galaxy S devices works fine. If all users were affected, the response would be substantially larger (and angrier). GPS is a major consumer of battery life. The more satellites a device tries to lock onto, the more data it is receiving and thus, the more battery power it is consuming. In a move to conserve battery life, Samsung may have chosen to deliberately cap the number of satellites the phone can both track and attempto to lock onto at any given time, resulting in poor GPS performance in areas where signal strength is weak or obstructed. I don’t have any hard evidence to support this claim, but I think it’s a reasonable one to make given what we know thus far. A more detailed explanation of why this might be is in my comment below (and thanks to Isaac for some clarification). Having GPS issues on your Galaxy S-based device (Vibrant, Captivate)? Let us know.